Veteran's Parkway lacks sidewalks, among other amenities, rendering it incomplete by "complete streets" standards. "One of the resolutions would be to instruct the city manager to include funding for a traffic engineer in our next fiscal year budget," said Buragas. "I think at this particular time when we're spending more than ever on infrastructure we desperately need the resources to do that professionally and promptly." Mayor Tari Renner said he's supportive of including a traffic engineer in the next budget. "This is absolutely essential. A city our size, we should actually have several," said Renner. "There are costs associated with that. I absolutely support that moving forward. Renner and 7th Ward Alderman Scott Black both appeared on GLT's Sound Ideas. "The feedback that I get is that folks would like to be more of the process when it comes to how our speed limit is determined, how do we have these recommendations from an engineering perspective and how do we incorporate them," said Black. "I think if we get more folks involved in the process it makes a stronger community." Buragas' other related resolution would dissolve the current Staff Traffic Advisory Committee and create a Traffic Advisory Commission. Her resolutions states the current committee does not allow citizen involvement or participation and operates without public oversight. The new commission would consist of no fewer than five individuals appointed by the Mayor and would be tasked with "implementation complete streets practices, parking management, traffic circulation, vehicle speed, traffic calming practices, crosswalk identification, intersection configuration, streetscape design and directional signage. Alderman agreed 8-1 to move forward with the creation of a complete streets ordinance. The ordnance would receive a vote at a future meeting. Buragas said if enough aldermen support her related resolutions, they would be considered a future date. If there's a lack of support, the resolutions would die. 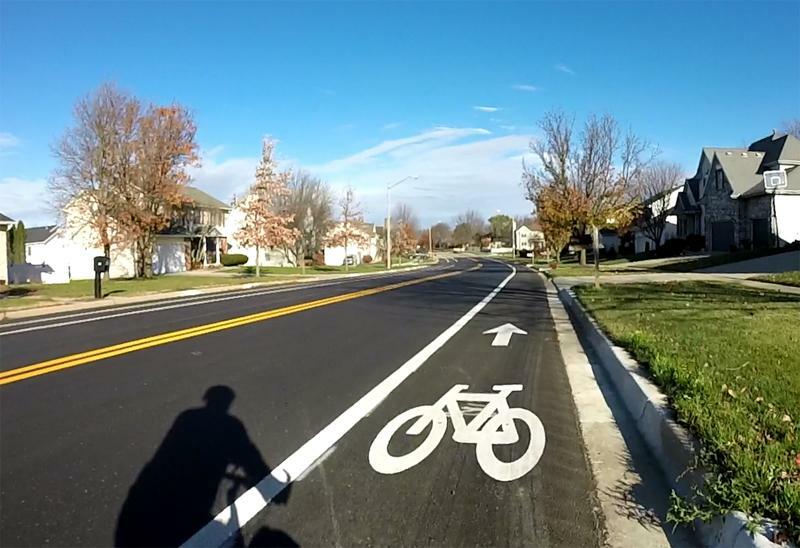 The Town of Normal will take up the complete streets issue after Bloomington. Hear the Sound Ideas interview with Mayor Renner and Alderman Black.